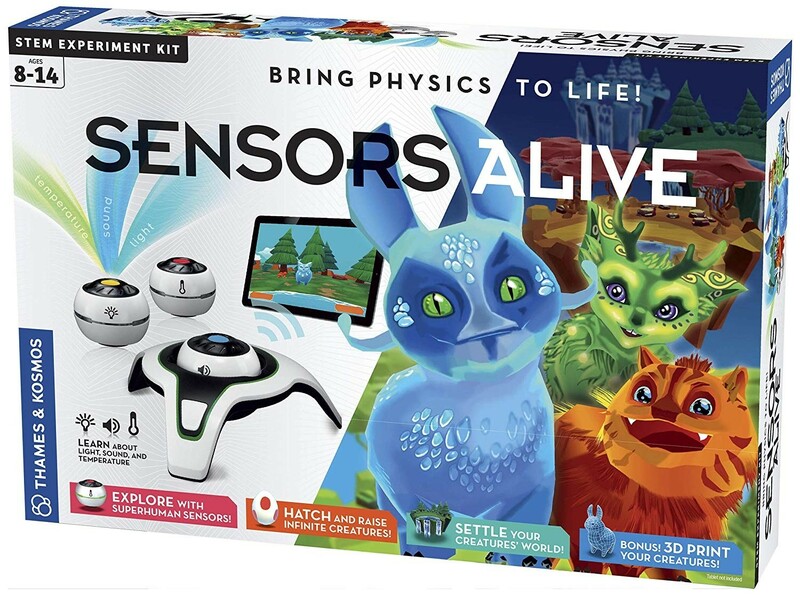 Demystify abstract physics phenomena like light, sound, and heat as never before with this highly innovative, gamified sensor physics lab from Thames & Kosmos! 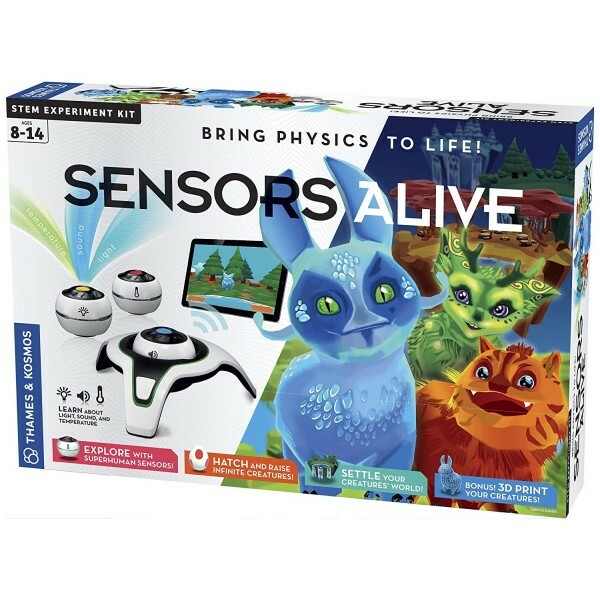 The core of this science kit is an app-based video game in which you use real-world sensor data to generate a diverse array of creatures. In a pretend bioengineering lab inside the game, kids play the role of scientists who use readings taken from three physical sensor pods outside the game. The sensor data dictates the different attributes your bioengineered creatures will have: for example, if you take a low temperature measurement, the creature generated will have long hair to keep warm. Then, use the sensors to capture data that lets you care for your creatures, feed them, play with them, create habitats for them, and generate more creatures — all the while developing an intuitive sense of the different measurements you are taking with the sensors. 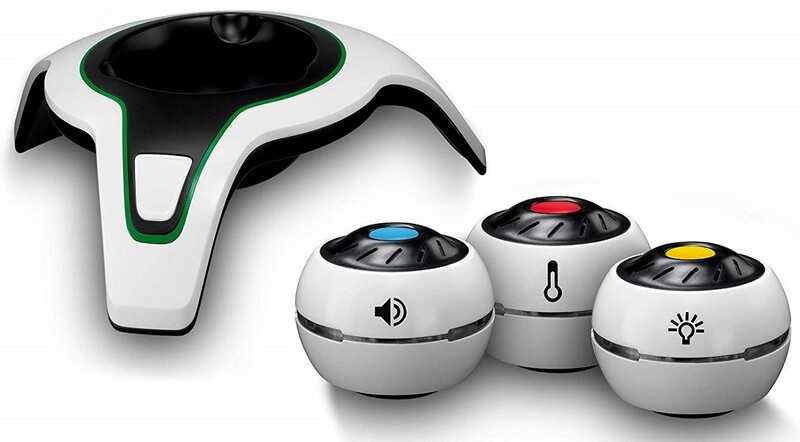 You will gain experience in measuring light levels, volumes, and temperatures with the three sensor pods, and learn about the physics behind light, sound, and heat. 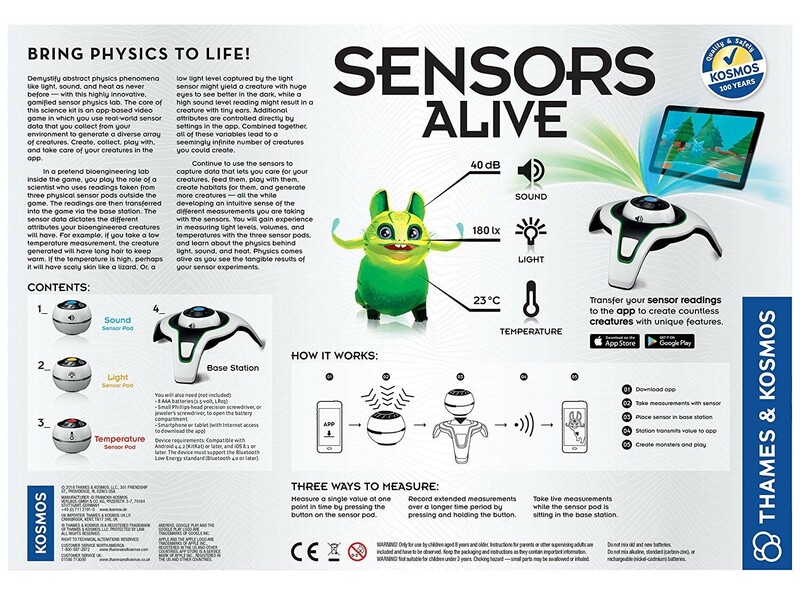 Learning physics comes alive as you see the tangible results of your sensor experiments. Please note: this app requires a device with Android 4.4.2 or later or iOS 8.1 or later.